Romania-based LUKOIL Lubricants East Europe (LLEE) marked its 10th anniversary. Ploesti-based LLEE was registered in late 2006 and started operating activities in 2007. As part of its lubricants business development strategy LUKOIL has transferred oil blending facilities of Petrotel-LUKOIL plant to LUKOIL Lubricants East Europe. 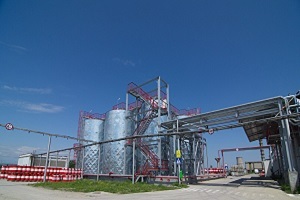 The plant modernization completed in 2013 and helped to create blending capacities of high European level. It was here that LUKOIL Lubricants first produced some key premium products such as LUKOIL GENESIS and AVANTGARDE PROFESSIONAL. Presently, the plant’s total production capacity amounts to 40,000 tons per year. LUKOIL Lubricants East Europe distributes its products in Eastern Europe and Balkans.